Open 7.00am to 4.00pm, Monday to Friday. Closed Saturday and Sunday. COUNTRY CUSTOMERS: To arrange pick—ups by your carrier, please contact our despatch to arrange a loading time. (07) 38882001. Please phone at least one day before the proposed pick-up. Where you nominate a carrier to pick-up on your behalf from our works, all charges will be to your account. If Northside Roofing is charged by your carrier for pick-up on your behalf, without our prior agreement, such accounts or charges will be referred to you for payment by way of invoice. Open 6.00am to 4.00pm Monday to Friday. Closed Saturday and Sunday. Stock orders can to be placed 1 hour prior to pick—up. Cut to length and bought in products not collected after 2 weeks from date or pick-up will be delivered In your store and you will be charged accordingly. Crestmead (07) 3903 9999 Extension 879. Please phone at least one day before the proposed pick-up. Where you nominate a carrier to pick-up on your behalf from our works, all charges will be to your account. If Stramit is charged by your carrier for pick-up on your behalf, without our prior agreement, such accounts or charges will be referred to you for payment by way of invoice. 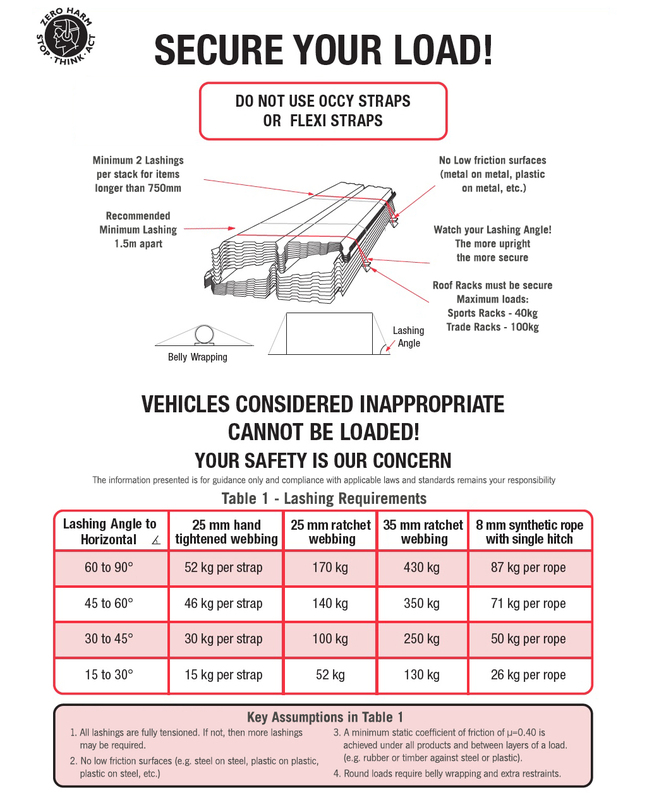 The Stramit Owner Pick Up Guideline sets out minimum safety and load restraint requirements for loading and transporting Stramit product. 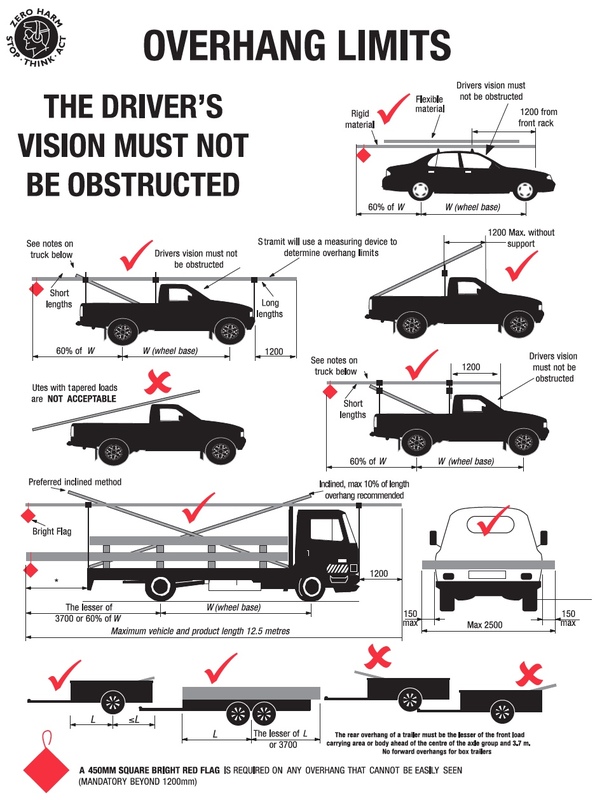 It details the legislative requirements for forward and rear overhang limits on vehicles and trailers, maximum weight on roof racks and the number of load restraints required to meet the requirements of the National Transport Commission Load Restraint Guide. It also provides details on the safest place for our customers to stand during loading and unloading. Adherence to the Owner Pick Up Guideline will assist in keeping Stramit Customers, visitors, employees and the general public safe from injury on Stramit sites, customer premises and public roads.